Fidget it, squish it, twist it. 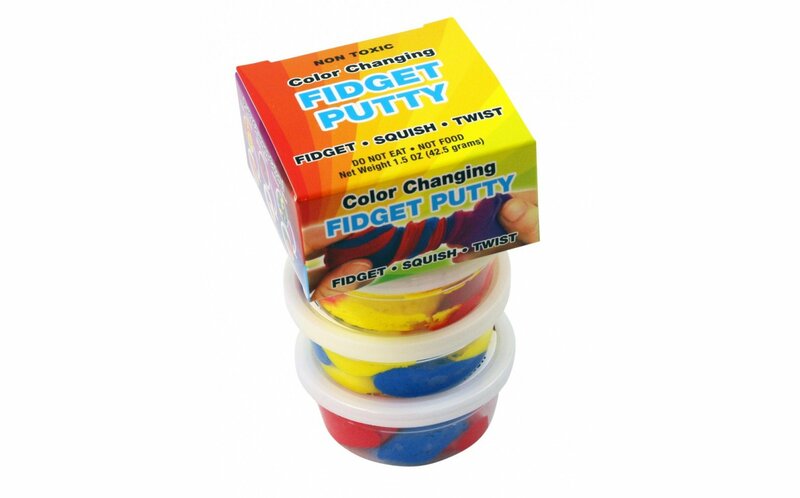 Brightly colored putty changes color and texture with air and water. Shape it, stretch it, or create a foam-like stress ball. Includes three tubs totalling 1.5 oz. Assorted colors.